LONDON — A rival oligarch has accused Oleg Deripaska of "telling lies on a grand scale" to sidestep a 2001 contract over a stake in RusAl, a London court heard at the start of a multibillion-dollar legal battle. 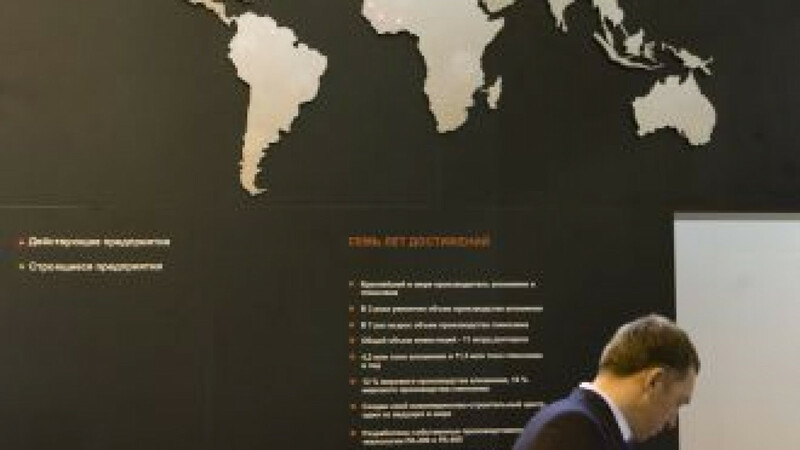 The case — a High Court showdown over a 13.2 percent stake in the now-listed RusAl — offers a rare insider's view of the chaotic and often violent consolidation of Russia's aluminum sector after the collapse of the Soviet Union. It is also likely to be one of the largest ever commercial cases to be fought in a British court, with dozens of lawyers, more than 70 witnesses between both sides and already thousands of pages of evidence filling makeshift bookshelves around the packed courtroom Monday. Businessman Michael Cherney accuses Deripaska — RusAl's chief executive, its largest shareholder and one of Russia's richest men — of "rewriting history" to erase their partnership, according to court documents filed by his lawyers. Cherney, who describes his extensive business and connections in evidence, alleges that he and Deripaska were allies, after he met the young Deripaska at a dinner in 1993, spotted his acumen and later entrusted him with business interests. "[Deripaska] realized a partnership with Mr. Cherney would propel him into a different league altogether," lawyer Mark Howard, acting for Cherney, told the court Monday. Cherney, who argues he made "significant financial contributions" and helped Deripaska with his connections, alleges the aluminum billionaire owes him a stake equivalent to 13.2 percent of RusAl. Cherney says the two signed an agreement and made a verbal deal when they met at a London hotel in 2001. Deripaska denies a partnership with Cherney. He says their relationship was, Howard told the court on Monday, an "old fashioned protection racket," despite videos and photos placing him at weddings and parties alongside Cherney and associates. The aluminum tycoon does not dispute making a $250 million payment to Cherney at the Lanesborough Hotel in London 11 years ago. But he says he was paying Cherney off to end a complex protection arrangement — known in Russian as ***krysha***, or roof — which also included Anton Malevsky, who has been named in court papers as the head of a criminal network. Deripaska says the papers signed were a sham agreement. In documents filed with the court by Deripaska's legal team, the aluminum tycoon accuses Cherney of having links to organized crime and of having extracted money from Deripaska under the krysha agreement. "If granted, the relief that [Cherney] seeks would be reward for his criminal conduct and for his attempt to extort further money from [Deripaska] through these proceedings," the documents filed by Deripaska's team said.